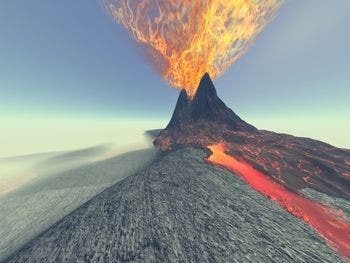 Enormous volcanic eruptions more than 100 times the size of ordinary volcanic eruptions like Mount St. Helens. with potential to end civilizations may have surprisingly short fuses, researchers have discovered. These eruptions are known as super-eruptions because they are They spew out tremendous flows of super-heated gas, ash and rock capable of blanketing entire continents and inject enough particulate into the stratosphere to throw the global climate into decade-long volcanic winters. There is evidence that one super-eruption, which took place in Indonesia 74,000 years ago, may have come remarkably close to wiping out the entire human species. 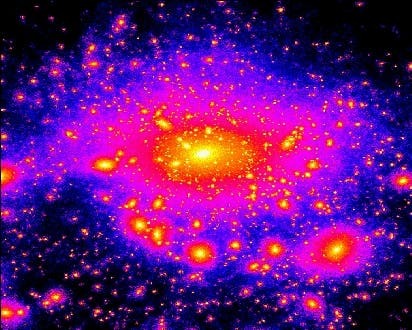 An exciting new study shows that the Milky Way's construction schedule began with the oldest globular star clusters and dwarf galaxies, which formed a few hundred million years after the big bang, settling into what is now the galaxy's halo, merging over billions of years to form the structure of our Milky Way. Stars in the inner halo were born during the assembly process. Over time, the Milky Way gobbled up older dwarf galaxies that formed less than 2 billion years after the big bang, with their ancient stars settling into the outskirts of the halo, creating the outer halo. After making its iconic journey as the first commercial spacecraft to visit the International Space Station, SpaceX's Dragon spacecraft will return to Earth today. 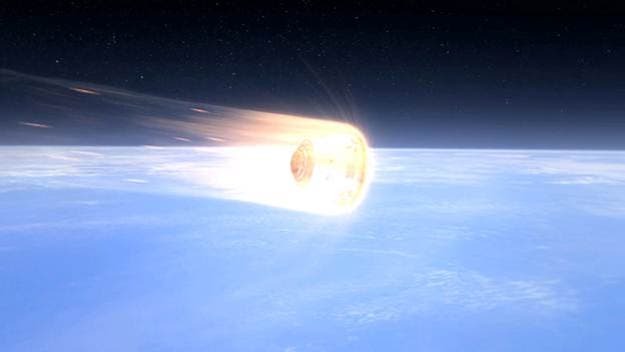 Dragon is the only spacecraft capable of returning a significant amount of cargo from the space station. The other cargo vehicles serving the space station – from Russia, Japan and the European Space Agency – can carry cargo up but all are destroyed after leaving the station. 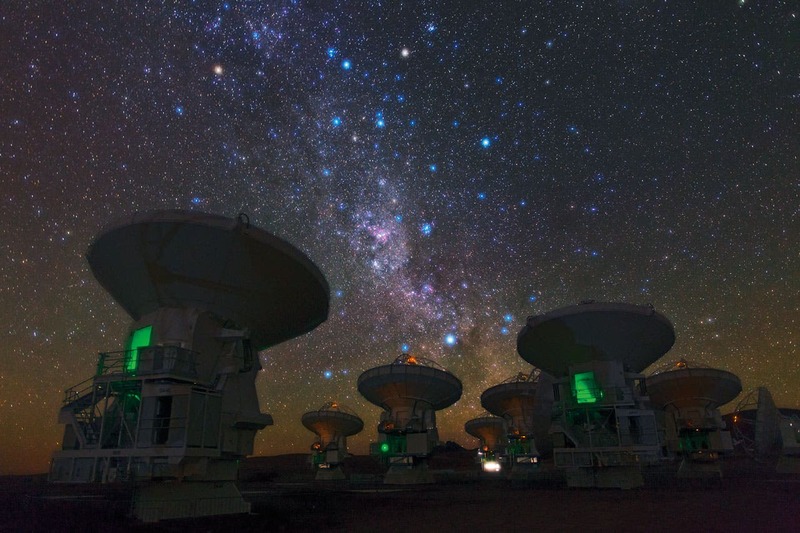 European Space Organization photographer Babak Tafreshi snapped this remarkable image of the antennas of the Atacama Large Millimeter/submillimeter Array (ALMA), set against the of the Milky Way. This view shows the constellations of Carina (The Keel) and Vela (The Sails). The dark, wispy dust clouds of the Milky Way streak from middle top left to middle bottom right. The bright orange star in the upper left is Suhail in Vela, while the similarly orange star in the upper middle is Avior, in Carina. Of the three bright blue stars that form an “L” near these stars, the left two belong to Vela, and the right one to Carina. And exactly in the centre of the image below these stars gleams the pink glow of the Carina Nebula. The Russian research vessel Akademik Fyodorov has arrived at St.Petersburg port with samples from subglacial Lake Vostok in Antarctica. Experts from the Arctic and Antarctic Research Institute say that all the microbial artifacts from Antarctica will be delivered to the Institute’s laboratory for a thorough examination on Thursday. A team of Russian scientists was the first to pierce the ice shield to the surface of Lake Vostok early in February. Lake Vostok is approximately 250 kilometers long and up to 50 kilometers wide (around the size of Lake Ontario in North America), and is up to 800 meters deep. 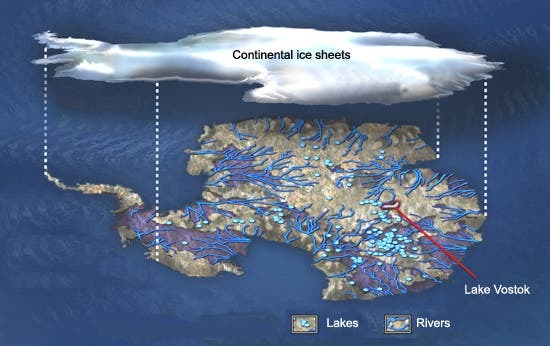 It is isolated from all the other 145 or so subglacial lakes in Antarctica. The lake has been sealed off by the ice sheet for the past 14 million years.